Today I thought i would mention the case of the curiously disappearing pages in google. I am now getting regular enquiries from people who are concerned about their site losing page saturation in the might G. No indexed page = no traffic of course, which in turn = no money. By this I mean that the pages were pretty much duplicated with only a small element changing on each page. This is especially a problem with E com sites as the header, nav footer all stay the same. Visible content might look a little different but when you look at the code, you see that in hundreds of lines, maybe only 4 or 5 are unique. In this case I noticed that the actual site hierarchy was poorly designed. There was no clear structure for the search engines to apply weight to. While a flat file structure is OK for a small site, a clear linking and hierarchy MUST be evident in a large site. 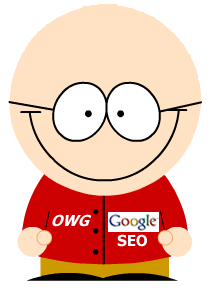 This allows Google to apply it’s weight to each page, its trust to each page, pro-rata. Poor linking leads to poor PR spread, and that is not good in the eyes of Google. Despite what many say, actual PR matters to Google, it matters for many things, and gauging the value of a page is one of them. 2. Relevance this is a textual value. The above are further split in to the 250 or more sub elements that make up the algorithm, but when all said and done, it is those 2 that matter. With most of a shopping carts pages being near duplicate content, and the page cross linking structure being higgledy piggldy at best, how is Google supposed to know what is important or relevant? Put simply, they can’t. The result of this is that wile a site may be showing some 1500 or so pages indexed, when you get to between 200-300 pages, the cached versions stop showing. So the reality is even worse. No cache in the main index, yet often times a cache when you visit the individual page? While Google announced the scrapping of the infamous supplementary index, it appears that just like in the case of Mark Twain (Samuel Langorne Clemens, rumours of its death were greatly exaggerated. Finally, I will say this. If you read the Google webmaster technical advice pages, it tells you not to make the errors above that contribute to page dropping.